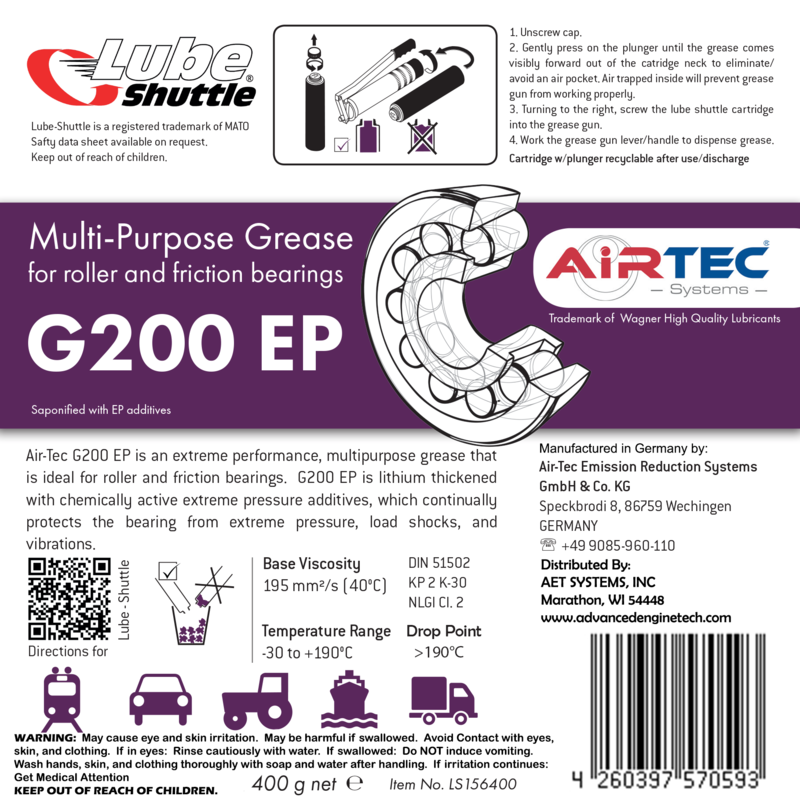 AirTec’s G200 Grease is a premium multi-purpose grease. It features a lithium complex, EP additives, and a heavier base oil than most multi-purpose greases. In fact, the 200 series is the most commonly used standard of grease in Germany. The biggest reason for its success is the wide range of standards it meets! AirTec G200 is great for use in industrial and manufacturing applications, AG and heavy construction machines, as well as recreation and automotive applications. The AirTec family of lubricants features many different types of greases ranging from standard multi-purpose greases to highly specialized ceramic additive greases. They cover a wide range of base oil weights, thickeners, and temperature ranges and out of all the greases, the G200 is the best all-around use grease. It features a heavier base oil than the G2, which gives it better durability in high use/heavy applications. Also, the G200 has EP additives to give it great pressure resistance but does not include moly, which makes it suitable for use when moly is not desired.